Clinician Academy Professional Clinicians Do you have what it takes to become a Professional Clinician? Professional Clinician Program Who is it For? Clinton is looking for talented horsemen and communicators as well as individuals who meet the core values of Downunder Horsemanship – loyal, hard-working, ambitious and personable. While the effort and selection process required to reach its elite level is grueling, those chosen for certification represent a select group of horsemen Clinton trusts to teach the Method® and inspire people around the world. 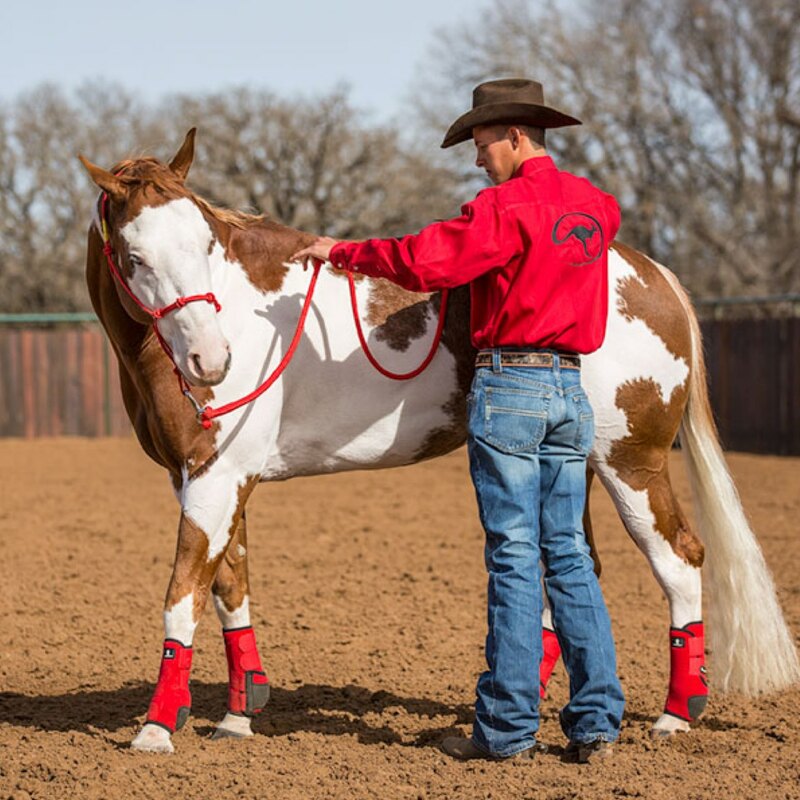 Professional Clinicians have Clinton’s personal seal of approval and receive support and promotion from Downunder Horsemanship to grow their careers as renowned horsemen. Clinicians teach private lessons and public clinics and are encourage to train horses for the public. As a Professional Clinician, you’ll be among an elite group of recognized, accomplished and respected horsemen who thrive with Clinton’s support. In exchange for an annual licensing fee, you’ll enjoy numerous benefits from Downunder Horsemanship’s multi-million dollar marketing strategy. Use Clinton’s NameUse Clinton’s name to promote yourself and your events. Your Own WebpageDownunder Horsemanship creates and maintains a professional webpage for you that features photos, video, biography, schedule and more. Ad in the No Worries Club JournalGet in front of Clinton’s most loyal followers in every issue of the publication. Marketing MaterialsBusiness cards, shirts, posters and more are available for purchase through Downunder Horsemanship. TelevisionClinicians are promoted throughout Clinton’s award-winning TV program. There’s nothing better than using the knowledge I’ve gained and the sacrifice and hard work I’ve put toward my career to help people get results with their horses. I love teaching people and seeing them progress through the Method and get the results they didn’t think were possible. I can’t get enough of it. Giving others confidence is empowering and why I love what I do. I´m excited for my future as a Certified Clinician and look forward to helping people create better partnerships with their horses. The application fee for the Clinician Academy is $16,000. To participate in the next seven-week training program, send a completed application to Downunder Horsemanship, along with $8,250 (half the application fee, plus a $250 processing fee). Only a select number of people are accepted per training session on a first-come, first-served basis. All money is non-refundable. Absolutely no exceptions.